Those of you who've read my article on Zumba will probably have learned by now that I'm pretty lacking in the co-ordination department. What then, possessed me to try out skiing lessons? Unfortunately for me, a birthday gift from my much more co-ordinated other half. 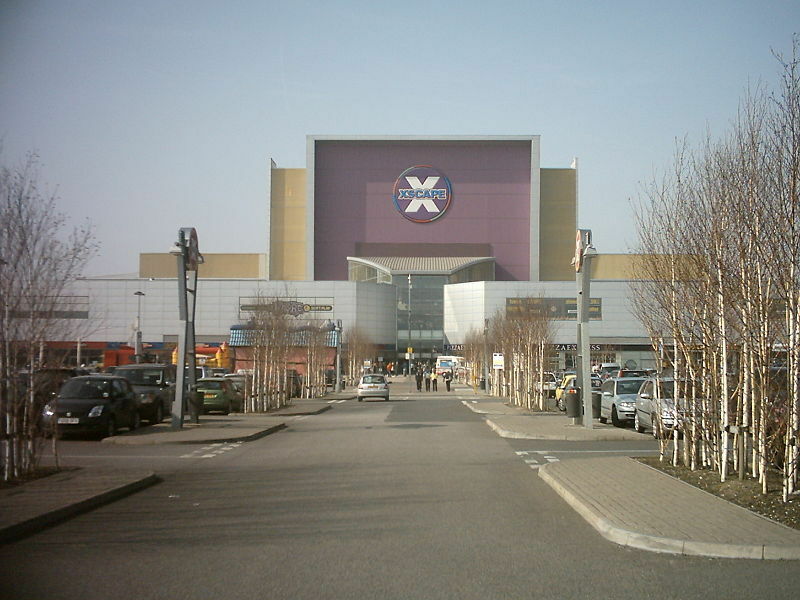 Based in Castleford, Xscape boasts a hugely impressive 170m ski slope, along with a whole host of other entertaining things to do, from bowling to skating to shopping and much more. The most impressive of the leisure activities on offer, however, has to be the indoor slope, which maintains a cool -5°c air temperature thanks to its very own 'giant freezer' and boasts 1500 tonnes of real snow. You can imagine my sense of foreboding then, pulling up outside in our modest Ford Fiesta instead of what I imagined would need some sort of snowmobile, and gazing up at the very building above holding this impending avalanche. 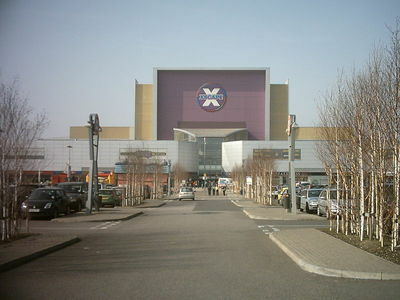 The insides of the Xscape building were rather deceptive; while from the outside it looked like an angry Everest waiting to asphyxiate me under 1500 tonnes of snow, (I might be exaggerating now- you can't actually see the snow from outside) the inside was much friendlier, as were the staff. Evidently we didn't have to worry about our attire, and I found myself feeling a little silly in my gym gear gloves, as we were supplied with a full set of waterproof skiwear to wear over our clothing. Dressed for the South Pole and feeling slightly like bloated snowmen, my partner and I waddled over to the front desk to collect our skis and helmets. I should warn those sensitive types about the next part, as, sadly, for safety and practicality, you have to disclose your weight to the ski staff in order to be fitted with the right pair of skis. For your own enjoyment I wouldn't advise lying at this point- your skis are fitted to your requirements and it'll only cost your comfort if you do. Next was to pick our helmets (and thankfully you don't have to weigh your own head) and a brief safety chat from our charming and slightly-too-familiar ski instructor. If you ever fancy a challenge, try walking in skis on linoleum flooring- thankfully, you're in with a bunch of other beginners who all look exactly like you do, which is somewhere halfway between a drunk penguin and Bambi trying to stand on all four legs. Luckily the snow area was a short shimmy away and suddenly there was an 170m ski slope in front of us. They weren't lying about the temperature either. For us beginners, however, we were forced to look on as experienced skiers whizzed down the slope with contemptuous ease, only to arrive at the netting at the bottom, which separated us and our training slope from them and their Everest. I'll admit at this point there was a pang of disappointment as I realised, in our first lesson, we'd only be going down the comparative molehill of a slope rather than the huge plunge that lay before us- but I would soon come to realise that said molehill would be quite enough. The first part of our hour-long session was walking in the skis. Taking time to address us all by name, (we were all firm friends by now) our instructor proceeded to make us walk in a line in a large circle and get used to the skis. Strong legs come in handy here, as the skis feel like the weight of two clingy toddlers grasping on to your ankles. After a while though, it got easier, and before we knew it, we were into shuffling, and even climbing part way up our little molehill. As time progressed, we were slowly making our way down the molehill, starting at a very low point at first, then walking higher and higher up it each time and skiing our way back down. All in all the drop can't have been more than about ten feet but it was enough to get used to the sensation of skiing and the inevitable necessity for balance that it required. As our confidence grew as a group, finally we were taking the ski lift (or rather, the rope which dragged us all the way up- probably the most fun part of the lesson!) to the top of the miniature slope. By this point we'd learned to control our speed by pointing our feet inwards and bending our knees accordingly. The top of our molehill was suddenly rather daunting and appeared to become a mountain when we were at the top of it, but luckily for me, I watched a few people go down without a hitch before it was my turn. And sure enough, it wasn't too bad! Before long I was happily skiing down the 40 feet or so without a care in the world. I must have got cocky though, and unfortunately, landed flat on my backside more than once after leaning back too far in my descent. Oh, and on one occasion I landed on my bum again simply by attempting to walk; I'm ashamed to say, this happened towards the end of the lesson! One hour later and our smiley instructor had taken a group of wobbly ski-virgins and turned them into free-falling maniacs (although some of them probably started out that way...) It was hard work and I certainly broke a sweat, but I never imagined enjoying skiing so much. After taking off our flippers and layers of snow gear we were each handed a certificate for passing level one, which would guarantee us entry into level two should we have decided to return. So even after leaving the building a half freezing/half sweaty mess, there was still a sense of achievement to be had. If you're looking for something different to take your friend or significant other to, I would certainly give Xscape my seal of approval. At £29 a lesson, it's a little pricey, but definitely worth it for the fun to be had in the process, and, if nothing else- you can leave knowing you've earned a certificate for falling on your arse. Why? To have a go at skiing without the danger of the mountains!